"Printed in Germany 1972" and "Ullstein Buch Nr. 2936" is stated on the copyright page. 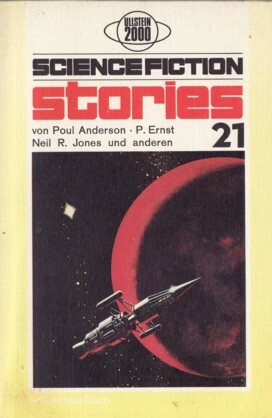 It's 'Science Fiction Stories' on the cover and the spine, but 'Science-Fiction Stories' on the title page. The last page of 'Der Turm' is not numbered. No credit for the cover artist, only for the publisher 'Fawcett'; the art can be found here.